There is a set of adoption laws known as the Interstate Compact for Placement of Children (ICPC) which apply in two situations. If you are a Texas resident adopting a child from another state. If you are a resident of another state but you are adopting a child from Texas. The ICPC provides for additional rules when children are crossing state lines in order to be adopted. Under ICPC the child will need to remain in the state of their birth until you obtain ICPC approvals from both the receiving and the sending states. You can expect this process to take a little less than two weeks from when the child is released from the hospital. 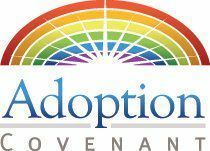 Adoption Covenant has extensive experience with interstate placements and will work to expedite the process for your family.